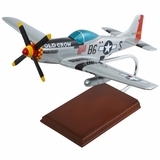 Aviation Decor – These quality Airplane Propeller Bookends are a great pilot gift and are attractive airplane décor. 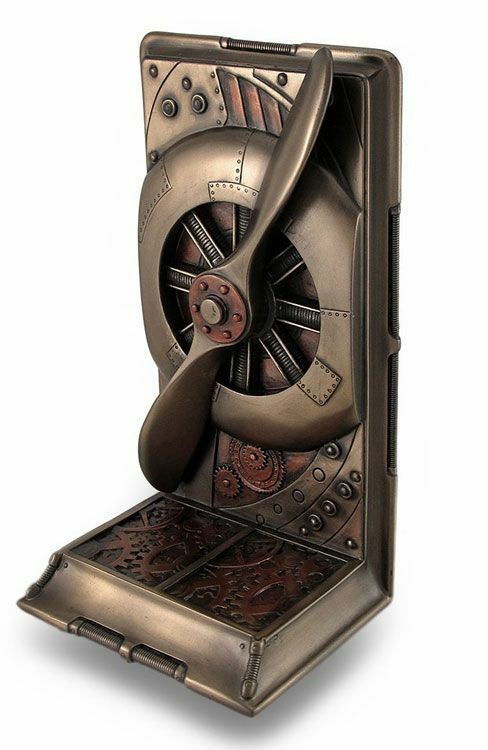 The bookend design is an artistic rendition of a radial engine and propeller with gears that adds to the aviation style. Combine this with the 3-dimensional design and you’ve got a classy set of bookends. These handsome set of two Airplane Propeller Bookends are created with a cold cast resin technique and finished with bronze and copper. 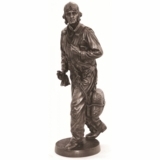 This means that greater detail is able to be displayed with the look of solid bronze but without the high cost. The 8 inch high bookends have felt backing on the bottom and side to protect the shelving and books. Arrived safely in Australia. Extremely happy. Beautiful design and quality. This is my first experience with Tailwinds and I am very impressed.